YouView has today officially announced the addition of Netflix, the world’s largest internet TV network with details of how all YouView viewers, regardless of which internet service provider they use, will be able to access the service. The imminent launch of Netflix for BT YouView users was revealed in BT's results last week. The addition of Netflix on YouView had been the subject of rumours for a long time. Netflix offers easy, instant access to a wide variety of popular TV box sets, films, comedy specials, documentaries and children’s programming. Existing Netflix subscribers can login to the player by entering their Netflix username and password using the YouView remote control. YouView now offers all the major UK on demand players which include BBC iPlayer, 4OD, ITV Player, Demand 5, Milkshake, UKTV, Quest from Discovery, NOW TV from Sky and Sky Store. 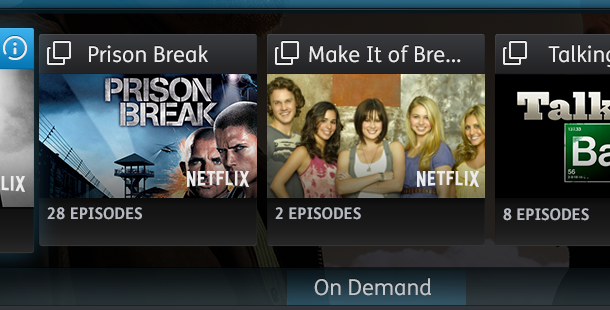 Netflix is available today on YouView from BT set-top boxes and Humax set-top boxes purchased from a retailer.